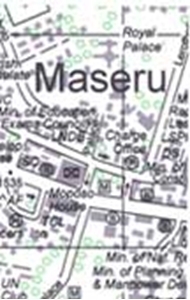 Clear street plan by the country's official survey department. Detail includes railways, major power lines, tracks, churches, mosques, post offices, monuments, schools, notable buildings and landmarks. 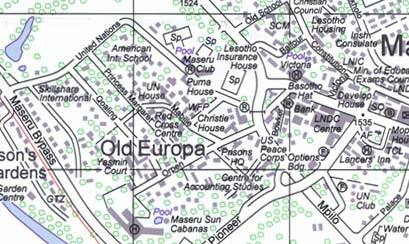 Districts are named on the map and there is an index of street names. South Africa territory on the map is blank.